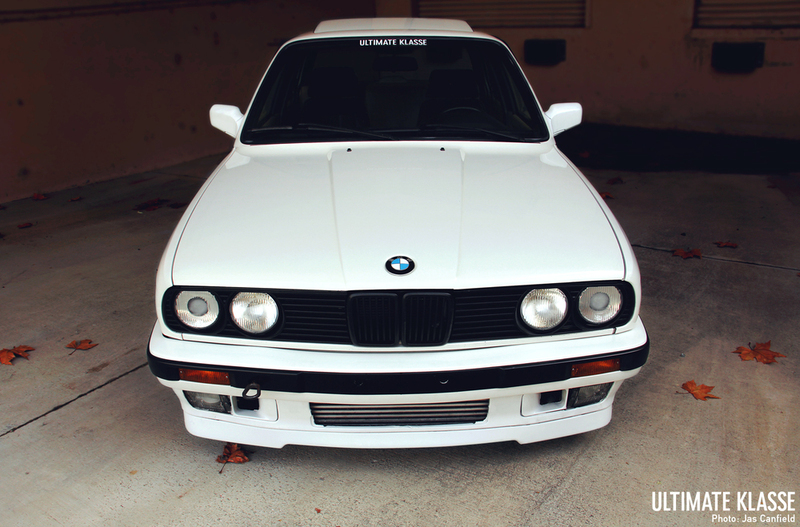 Vintage BMW’s have always caught the attention of Amir Falahi, owner of this 1989 325i. 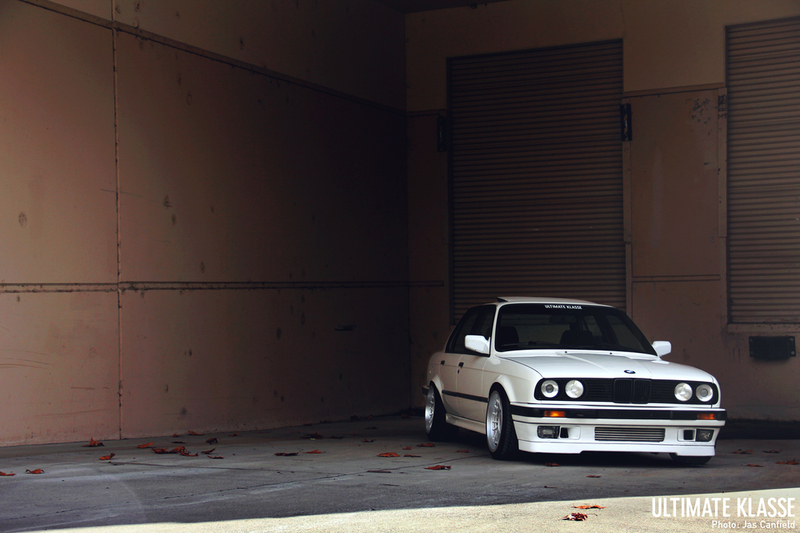 The boxier body lines, fender arches and raw drivability of the E30 drew him right in. Amir would tag along with his brother and friends for cruises and local meets, which ultimately got him hooked on BMW's. His family and friends surrounded him with beautiful bimmers including an Alpina B7, E90 and E92 M3, E30 touring with full Mtech II, E30 with full zender and a euro E21 323, so he couldn't have it any other way. When Amir was fifteen years old his father was ready to buy him his first car. It had become a Falahi tradition that the father helped his son build his car. After a couple weeks of searching for a clean 2002, he stumbled upon one of his brother’s friend’s cars under a cover in his garage. It was love at first sight; he knew that was the one. He traded his dirt bike and his father contributed some money to help fund the car. The car came with a M20 2.7L stroker kit already installed in it, but Amir later had the engine completely rebuilt. After the engine was take care of, Amir began searching for the right wheels. 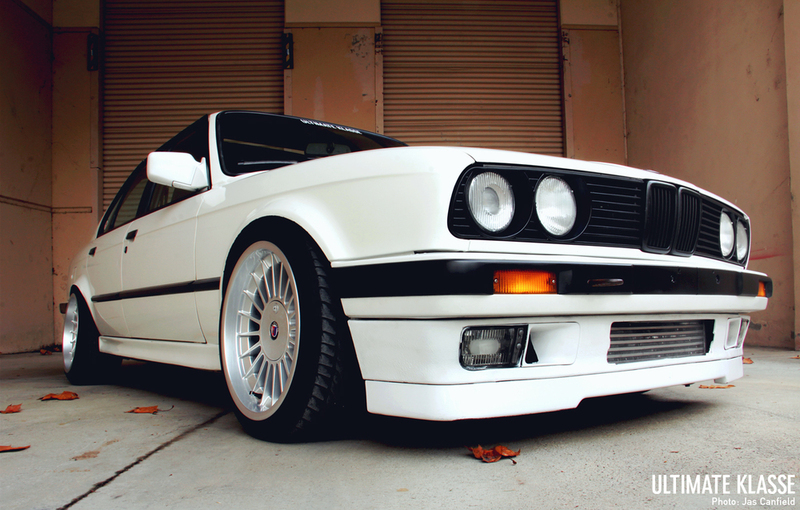 He landed on a set of refinished Alpina Softlines with specs that were a little aggressive (17x8.5/10") for the E30 chassis, but after a little fender and suspension work he got them to fit under the arches. 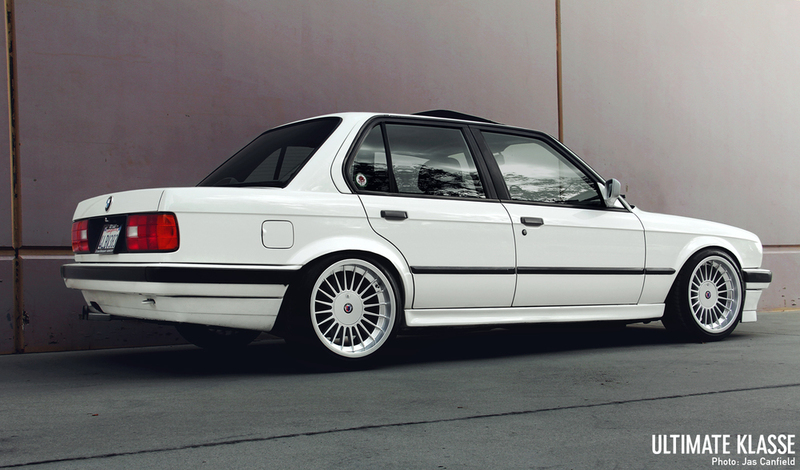 Because the bolt pattern was 5x120 he had to perform the bolt pattern swap using E36 braking and suspension parts. Not only did this allow Amir to fit larger wheels, but it gave him better braking power and the ability to put a larger rear differential on. In order to achieve the stance he envisioned, he swapped out the suspension that came with the car for a set of fully adjustable Ground Control coilovers with Koni yellow shocks. The exterior remains fairly stock with the original Alpinweiß paint. The iS front lip spoiler, black grills and Zender side skirts were the only items that didn't come with the car from the factory. Amir has eventual plans to respray (AW again) and prep the car himself. The interior houses a set of Alpina Recaro seats, MOMO steering wheel, AC Schnitzer handbrake and a few other items. The shift knob was made by Amir in Woodshop Class for $7.00 and an Alpina pin he had in his collection. After a year or so of driving the car he grew unsatisfied with the performance that the car was producing and wanted to get more out of it. This meant deciding between an engine swap or forced induction—he chose the latter. He admits that he didn’t really know what he had gotten myself into. The build turned out to be a complete nightmare due to the lack of motivation the shop had to finish it. He saw that they weren’t doing it the way he wanted so he pulled the car out and finished it through a shop located in Sorrento Valley. A T3/T4 turbo, 57 trim, Garret externals, Precision internals, custom tig welded manifold, 287 Schrick cams, custom 3" down pipe, Synapse Engineering BOV and Wastegate were installed. Four and a half months later, he was cruising the interstate with 350 horsepower and a grin from ear to ear. His love for BMW has motivated him to become an automotive technician and aspires to one day open his own shop specializing in vintage BMW's. What started out as just a first car turned into a life-long affair, something that many other enthusiasts can gladly say happened to them as well.